A worthwhile endeavour runs deep once confronted with abject injustice or evil – such as witnessing humans killing wildlife. An eye for an eye may come to mind upon seeing the above photo. As with any worthwhile endeavour, one’s purpose and direction are emboldened by having a clear and confident philosophical base. 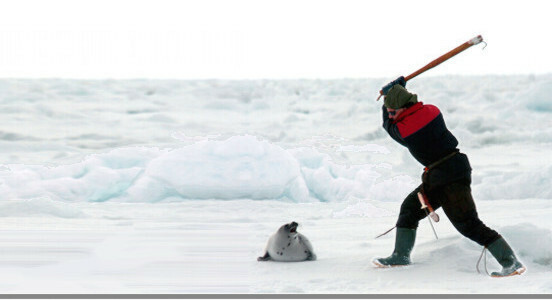 No stronger is one’s purpose entrenched after direct witness of wildlife horror. While the natural response may be to enforce an ‘eye-for-an eye’ philosophy, The Habitat Advocate adopts a moral philosophical framework. This means building upon epistemology (distinguishing knowledge between beliefs and truth), normative ethics, conservation biology, environmentalism specific wildlife, ecosystems and habitat conservation and ultimately the concept of ‘wildness’. Killing poachers will only kill the poachers and save a few wildlife, but bigger goals to prevent species extinction (the ultimate evil – that more than transcends human genocide) can be achieved through means that do not involve killing poachers. We have crystalised these related branches of philosophy into a direction we coin ‘Habitat-centric Ethics‘. 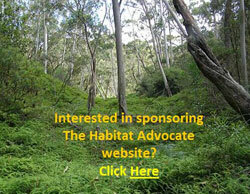 It’s fundamental tenent is respect for wildlife habitat. From this central tenet, we advance and explore new principles of Habitat-centric Ethics (see below), and with each over time we shall elaborate. Constructive comments and input are welcome. How is ‘philosophy’ relevant to habitat conservation? To be effective in environmental debate and in galvanising community support for an environmental cause, community support demands more than one’s personal passionate commitment to wildlife, a natural place or to an environmental issue. The fatalistic tendency of a few to doggedly condemn a noble campaign, if for no other reason than naive bigotry, to be devil’s advocates, political party members sensing ideological challenge, the thrill of embarassing, big noting or any other mindless excuse…problem is their one liners and vocal jibber can effectively sway uninformed community sentiment. So beware devil’s advocates! Be clear and effective in message! Be pragmatic in expectation! Have counter one-liners at the ready! Never assume one’s own insight or interest! Go into this noble and naive only to to be crucified by the politically astute, who tend quickly to disappear into the crowd, their thwart of your noble effort achieved!. While emotive argument for a cause can be powerful, for commitment to be effective, rational analysis is needed to recognise the underlying socio-political ideologies and motives of all stakeholders. Such insight forms the basis for effective campaigning strategy. Rational argument augmented with emotive argument sows the seed for a formidable campaign. Knowledge about a cause and its issues and impacts builds credibility. Underpinning that knowledge and commitment, is the need for clear principles and rational thinking. Philosophy is the art of rational thought, from which principles are derived. Philosophy has many branches, but basically it is about applying reason and logic to one’s own opinions, claims and assumptions, and importantly to question those of others. Philosophy provides approaches and means for challenging the attitudes and values and belief system underpinning those opinions, claims and assumptions. It seeks for answers and truth using rational logic. Ethical principles are the common goals to guide campaign position and strategy. All three should be consistent from the outset, so that the communicated message is virtuous and credible. Just because philosophy is not taught in school, which it should be, does not mean it should not be a skill that can be learned for effect by anyone. To avoid the philosophical argument in a campaign debate reduces ones chances of success. Philosophy teaches us to argue a case more forcefully, to express our thoughts better, and also to be more flexible and creative in our approach to problem solving. It gives us a clear and confident base with which to form a principled justifiable position and to deliver consistency in argument.